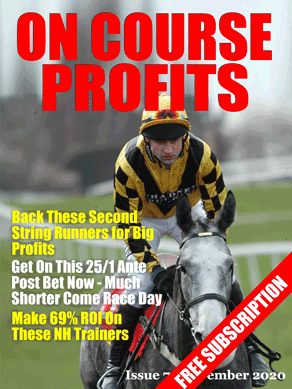 I had a National Hunt Trainer Trends piece lined up for today, but with no NH racing I've shelved that for now. Luckily the guys from Betting School have jumped in to fill the void with a profile piece on 6 furlong handicaps at Lingfield. With a bit of burning of the midnight oil I've applied the profile to today's 1.30 at Lingfield. Before I get started I should just mention that it was a good night for readers that followed my lead and layed Rosemary in I'm a Celebrity who was evicted last night. So what I have from the Betting School Insiders Club is positive and negative factors that apply to runners in 3 year old + and 4 year old + handicaps over 6 furlongs at Lingfield. In the table below I have marked how each runner scores against each factor with a + for the positive factors and a – for negative factors. Now I was hoping that my work would highlight an outsider with a great chance, but if you look at the table you'll see that apart from the draw the favourite, We Have A Dream, ticks all the positive boxes and has non of the negatives. Others worth a look are Hatta Stream, The Strig and the Dancing Lord. The Dancing Lord is the rank outsider is up in class and has never had a win on the All Weather. The Strig is a course and distance winner back in January, but off a lower mark. Hatta Stream looks capable but is on a long losing run of 16. All in all it looks like a race for the favourite, which was 4/1 earlier this morning but is now generally 7/2. For the full research and much more try the Betting School Insiders Club for just £1, Click Here.